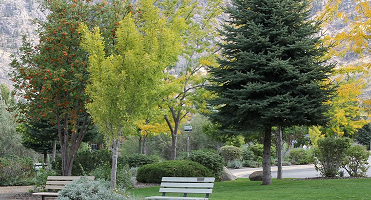 The Town of Osoyoos is seeking Requests for Proposals (RFP) from qualified consultants to prepare a modern Urban Forestry Plan and Tree Management Bylaw providing the policy rationale, legislative authority, regulations and guidelines for sustainable tree stewardship on public and private lands. For a detailed RFP package, please click on the link below. A copy of the RFP package can also be obtained at BC Bid, or CivicInfo BC. Proposals must be received at Planning and Development Services no later than 2:00 pm on Wednesday, June 28, 2017 in a sealed envelope clearly marked “Urban Forestry Plan and Tree Management Bylaw”.